Where Can I Find Honda Civic Sedans for Sale Near Me? Are you asking yourself, 'where can I find new Honda Civic Sedans for sale near me?' 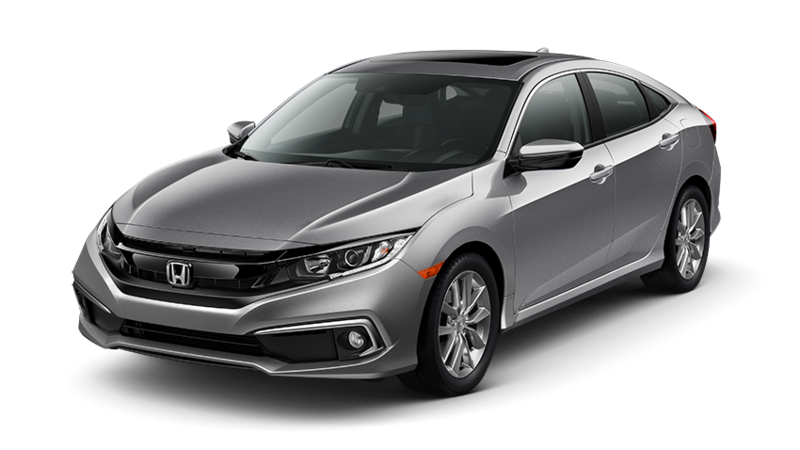 Mike Smith Honda offers an exceptional selection of new Honda Civic Compact Sedans for you to browse and test drive in Beaumont, TX. Why Choose the Honda Civic? Since the 1st generation of Civics came off the assembly line in 1972, we've been hard at work perfecting our fabulous compact car. A lot has changed in the automotive industry over the last 46 years, but one thing remains a constant-- The Honda Civic is the embodiment of vehicular economy and reliability, with a few new tricks up its sleeve. There's a lot to like within the Civic's incredibly spacious interior. We've enhanced the Civic's infotainment features with the latest touch-screen technology as well as improved the design and materials throughout the cabin. Road tripping or commuting, your new Civic comes standard with the modern comforts and amenities today's drivers require. Searching for an economic compact sedan or a reliable hatchback? The Honda Civic's comes in either configuration. More of a two-door coupe type? Our two-door Civic is an excellent match. Whatever you're searching for in your next compact car, the Civic has a version of it at the trim level you're looking for. The Honda Civic is the manifestation of our commitment to automotive safety and security. The Honda Civic's standard and optional safety technology is as modern as they come. Regarding safety features, there's the Honda Civic and then there's everyone else. Stop by Mike Smith Honda today to test drive a new Honda Civic Compact Sedan in Beaumont, TX. Our knowledgeable team of Honda specialists are standing by to help you find the perfect vehicle. View our inventory online, stop in, or call (888) 276-8172 today to learn more. We look forward to serving you!